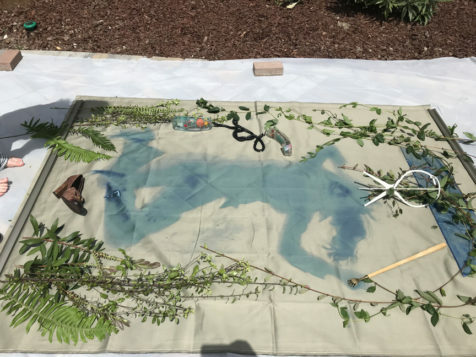 Here’s how Carol Henry made the large hanging cyanotypes in the Spellbinding Light exhibition. 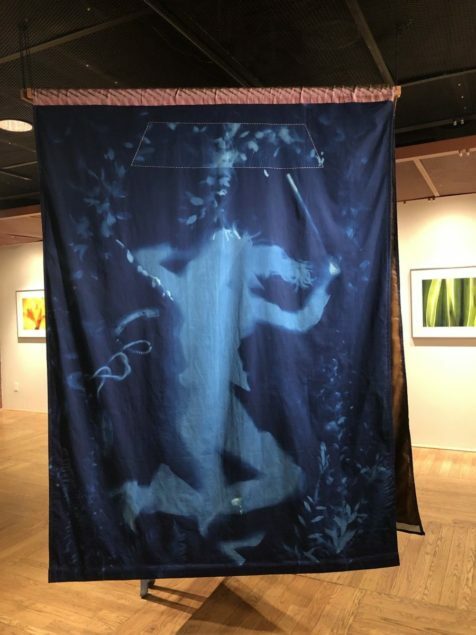 Be sure to see the installation to truly appreciate the beauty of these incredible life-size fabric, cyanotype photogram prints. 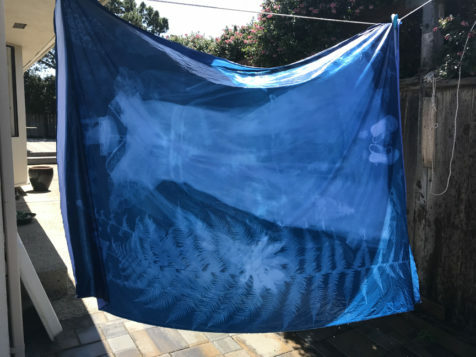 and the final fabric lined cyanotype hangs in Spellbinding Light. 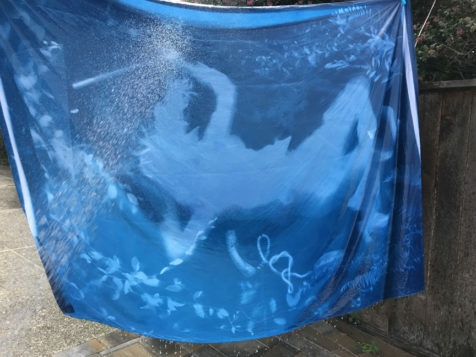 results in this beautiful fabric lined cyanotype hanging in Spellbinding Light. So, you’re taking the leap to get your art out there – congratulations! You’re already a huge step ahead of everyone hoarding their art in their closet. 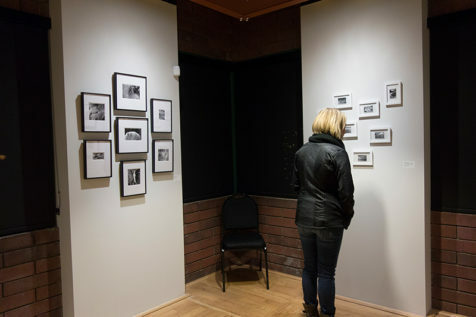 Submitting your work to exhibitions is a gratifying experience, but it can be nerve-wracking or frustrating if you are confused about the steps to take. Don’t quit before you even start – follow the tips below and any instructions given in the call for work, and you’ll be successful! Put some time into choosing the work you want to submit to the exhibition. If the show has a theme, make sure to stay within the theme guidelines! For most exhibition opportunities, you will be allowed to submit anywhere from three to five artworks. You could submit all works from the same series, or switch it up and submit separate bodies of work. 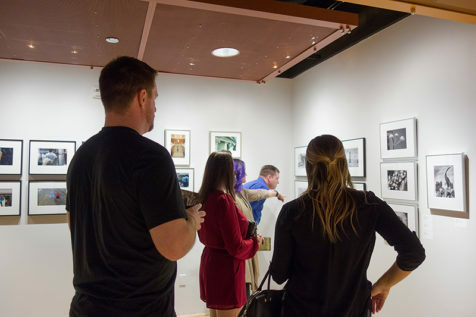 Keep in mind though, for most juried exhibitions the juror will likely only select one or two works from an artist they like – so send in your best. Also, do your research! You’ll have better luck submitting to shows juried by art professionals that are interested in the style of work you make. Checking out a show’s juror beforehand can save you the heartache of rejection from a bad match. These days, nearly all exhibition applications are done online, either through a form or by email. This means that you will not be able to present your physical artwork to the juror, so you need excellent photos of your work to submit. If you are submitting photographic work, you’ve got a leg up – chances are, you can just send in your image file that you would print. If you are submitting other 2-D or 3-D artwork, you’ll need to take some good pictures of your work. If you’re not confident in your photo skills, consider having it professionally done! The images should be evenly-lit, with neutral color balance, and should clearly represent your art as it will be displayed. Make sure to follow the gallery’s instructions for image size and resolution; ignoring these details can end in your file being too small to view, too large to send electronically, or worse – automatically eliminated! All calls for work will have instructions on how to make your submission. At Art Intersection, we will have you fill out an online form that includes your contact information, artist info like your bio or statement, and then details about each piece you’re submitting (typically title, edition, medium, and year, as well as a photo of your art). Be sure to follow all formatting instructions very carefully! If you are missing information or don’t present it in the way the gallery has asked, this could lead to trouble with your submission or even disqualification. Many artists find it helpful to keep a professional dossier on file – a digital folder that includes commonly requested information about you and your work that you can copy and paste into your submission form. This way, the hard work is done! You won’t have to spend the time constructing an artist bio for every show you apply to. Before clicking “Submit”, take the time to read over your submission in full and correct any errors. You’ll be glad you did! Many calls for work are accompanied by a submission fee, usually ranging between $15 and $50. Paying the fee in no way guarantees that your work will be accepted – these fees are used by the gallery to pay for the exhibition! 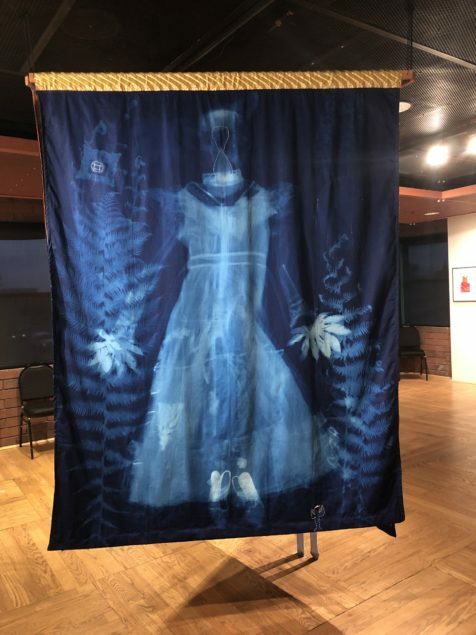 Facility rental, promotional materials, and qualified staff all cost money, and if your work gets accepted, you want the gallery to put effort into making your art look nice. Your submission fees help us keep the lights on and get your art on the walls. 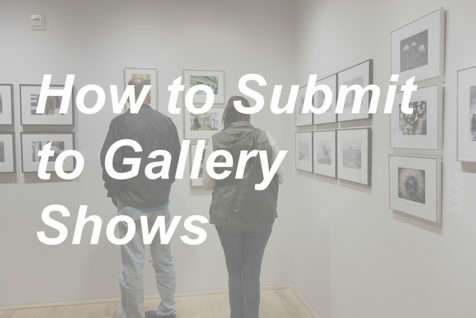 Once you finish your submission, most galleries will notify you that your work was received. At Art Intersection, if your form has been submitted correctly you will automatically receive a copy of what you submitted sent to the email address you provided. If you haven’t received a notification from the gallery you’re submitting to within one business day, it may be a good idea to contact them and double-check that you made it through. And then you’re done! As with anything, it’s best not to wait until the very last minute to complete a submission – hiccups like an incorrect file size or an artist statement that you haven’t written yet can cause unnecessary stress if you don’t work on your submission well before the deadline. Now that you’re prepared, get that artwork out there! Check out our Calls for Work page for a place to start. When I flip through Kate Breakey’s Las Sombras photobook, I am reminded of the beautiful and glowing photograms I encountered on my first day interning at Art Intersection. I remember being fascinated with the pieces as we laid out Breakey’s massive installation of life-size prints of desert animals, exhibited in ornate vintage frames. The work was so striking and amazing that I fell in love with it right away. As a young collector, I couldn’t buy one of her original pieces, but I was thrilled to find her book of the series just a few years later in the MOPA bookstore in San Diego. It’s my favorite photobook I own and a way to now appreciate that entire body of work anytime I want. Books often become special objects that are phenomenal works of art, while also engaging the viewer with something more tangible. 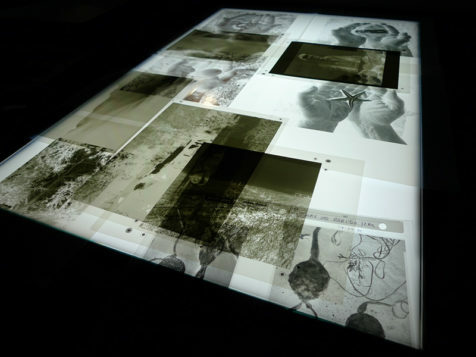 Touching the pages, flipping each sheet to pace viewing, seeing the ink on paper, all of these things create an intimate experience completely unique from looking at framed prints on a gallery wall or zipping through digital files on a screen. This year during PhotoTapas Day at Art Intersection, I had the pleasure of moderating the Photobooks After Funding Panel Discussion with artists and book designers in an open forum about why we make art books to share and express our work. Artist William W. Fuller shared his entire process of crowdfunding, designing, and publishing his first monograph The City. 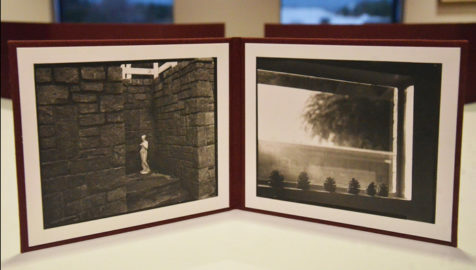 Through discussions, education, and the Photographic Arts Lab, Art Intersection serves to provide resources for print-on-demand publishing, handmade art books, and traditional publishing. 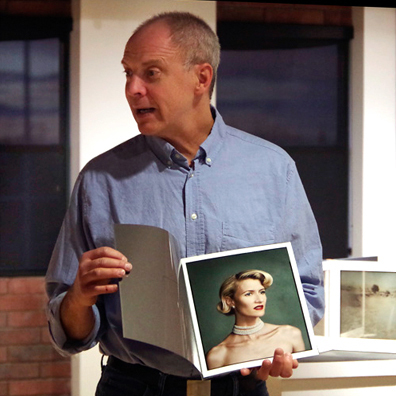 Whether an artist, collector, or admirer of work, art books can be appreciated as an alternative to standard ways of collecting, exhibiting, and sharing images. In the New Year we will be offering more opportunities at Art Intersection to engage with the bookmaking medium and I am excited to begin creating my own photography book of my current work! Have you ever held a platinum print of a beautiful image? 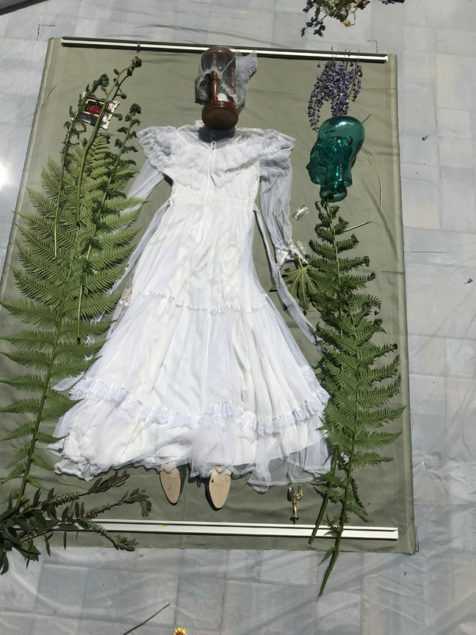 It’s amazing how printing in a handmade process turns a that image into an object of art that can be seen by many and handed down to future generations. I first experienced this excitement many years ago when I held in my own hands a 1934 platinum print hand-printed by Edward Weston, and I have been hooked ever since. From the initial concept of Art Intersection through today, I have been determined to design and create a space for learning, creating, and exhibiting physical pieces. I know first-hand how viewing a print brings a more powerful and positive experience to the viewer than seeing a facsimile on the computer or tablet screen. 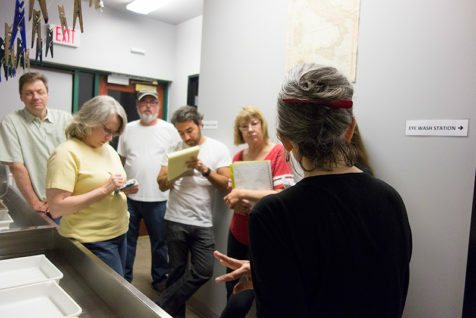 The community of artists working in Art Intersection’s Photographic Arts Lab have access to three centuries of imaging technologies from darkroom to digital, including the new use of digital negatives to take our digital files from the phone or DSLR into the darkroom to create gelatin silver, platinum, cyanotype, tintype, or photogravure prints. I’m excited we can provide all the tools to create contemporary work in almost any current or historical process. News flash, we’ve added a new tool in the Photographic Arts Lab to bridge past centuries of photography (we build bridges, not walls). Last week an M.M. 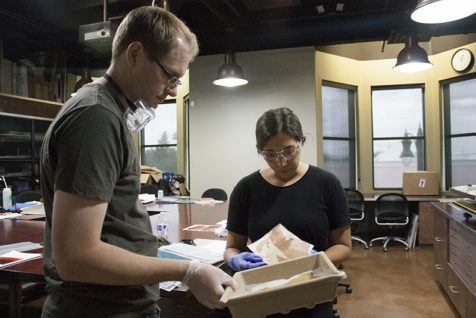 Kelton and Sons 1870 intaglio press arrived in the lab to create photogravure prints! See a press just like ours in action here. If you are excited to make a print from your digital or film image, come by and see what’s available to help you realize your vision. 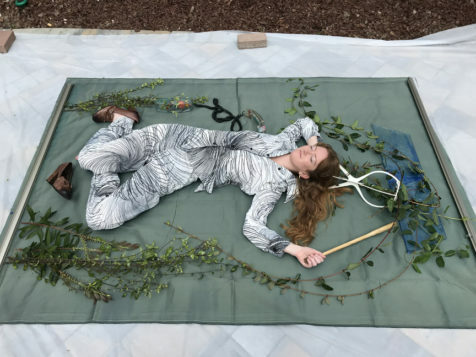 Watching people create prints at Art Intersection allows me to continue enjoying, seeing, and maybe holding, beautiful prints from our image making community (eat your heart out Edward Weston). Sometimes it can be hard to see past all the obstacles involved in learning something new. However, taking a leap and trying something different can open doors that lead to fantastic possibilities. As Photographic Arts Lab Manager at Art Intersection, providing the tools that make it possible for creative people of all skill levels to bring their vision to life makes my job worthwhile. Our learning opportunities can provide the missing link that makes the creation of your artwork possible. 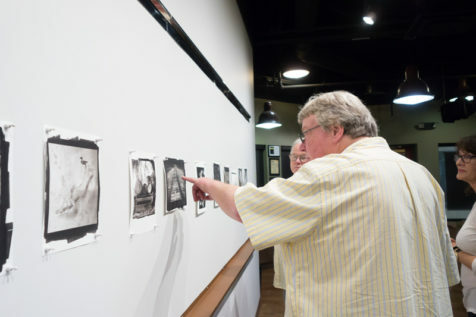 With our 1-on-1 tutorials, students get the hands-on training they need to perform a process on their own, from black and white film development to making exhibition-worthy prints. Frequently, with a little instruction and enough practice, they find that the technique they’re learning isn’t nearly as complicated as they thought. In our workshops, participants get to spend valuable time with an instructor who has mastered their craft, frequently forming relationships that lead to continued mentorship. Our Open Studio and Working Group programs provide artists with the opportunity to continue their study of a process with peers, all exploring together. Seeing visitors walk away from their time here excited and empowered is the best part of my job. I watch people do things they didn’t know they could do. I witness appreciation for artistry and technique. I see improvement and perseverance and dedication just about every day. This space is for you. Join us by attending one of our events, making time to learn a new skill, or using our resources to create your artwork. Everyone is welcome here. Anyone can create.